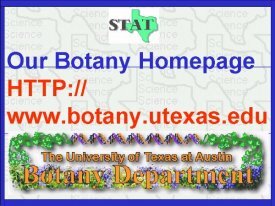 This slide provides the URL address for our Department of Botany Website. Presently we are receiving over 50,000 hits per month. We are listed s the top 5% of all websites.